all the BeLive accounts are connected to personal Facebook profiles. But don't worry, you can broadcast to any page or group that you manage. 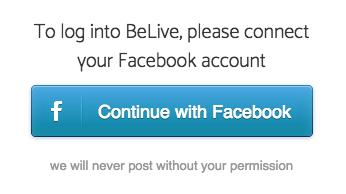 To sign up for BeLive, click the blue “Sign up with Facebook” button in the center of the homepage. You will be instantly redirected to the pricing page. At the moment we are granting all the users 14-day trial with access to all our features. After it ends, you will automatically get the free plan. No payment details are required at this point! 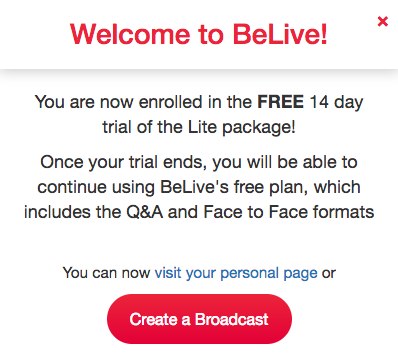 To start your free trial click "Start for Free" under Lite or Standard plan. 3. Click the big blue button “Continue with Facebook” and allow the access to your personal profile. Hurray! We Just started our 14-days trial. You have access to all the features of the chosen paid plan for free now! 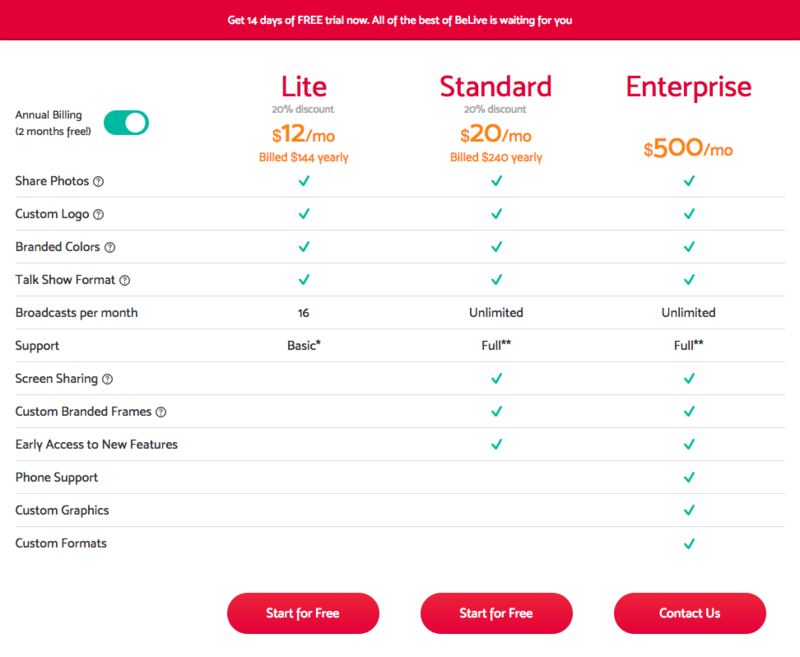 Wanna find out more about pricing plans? Check this article for more info! Let's check what we have in your BeLive profile. 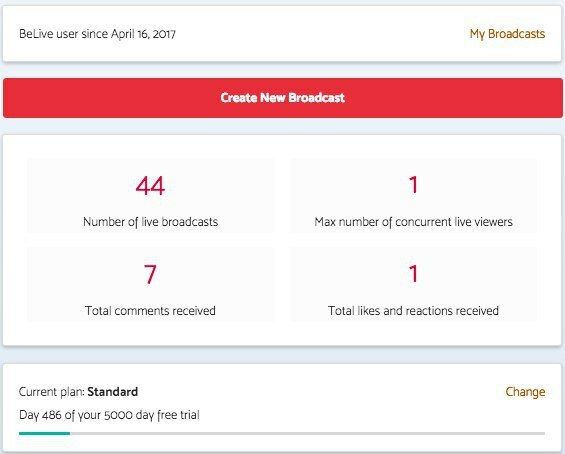 Here you can find the information about your subscription status, your sign up time, statistics like the number of your broadcasts, max number of viewers and total reactions received. That's all, you are ready to go! 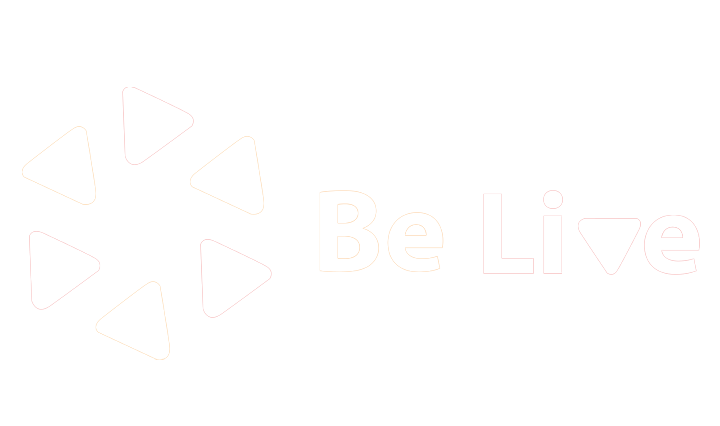 Have fun with BeLive! And you can always contact us via email, Facebook messenger, or chat box in the bottom right corner on the website.